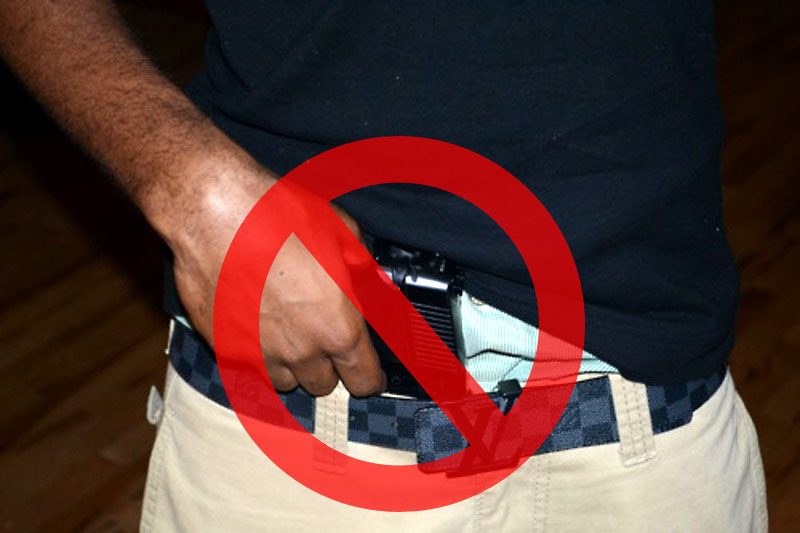 10 THINGS NOT TO DO WHEN YOU CARRY CONCEALED | ASK Defensive Training Co. I found this article on facebook that someone and posted and it make some great points. So i just wanted to share them with you, though they are not mine exact views they are inline with what is generally considered safe! This is one of my favorite!! What are the four universal firearm safety rules? #1 ALL guns are always loaded!! #2 NEVER let you muzzle cover ANYTHING your not willing to destroy!!! #3 Keep your FINGER off of the the trigger until your sights are on the target!!! #4 Know your TARGET and what’s beyond and in line with it!!!! This guy had some extremely valid points and suggestions but at the end of the day if you are carrying a firearm for protection you had better know more the where the bullets come from and how to pull the trigger, defending yourself is serious business that requires serious training, remember in a armed conflict you are only going to be 50% as good as your last time training. So take your training serious and practice hard!! Come train with us make every shot count! !